Here at Crossfield Doodles we believe that the best environment for our breeding dogs is the home. Our goal is to continue developing our breeding lines while ensuring our breeding dogs are in family homes where they are nurtured and socialized as classy companions! We feel the Guardian Program is an excellent way to achieve this goal. We have several Guardian Opportunities from our 2018 to 2019 litters. Please apply online and let us know if you are looking to be a Guardian. The Guardian Program exists to match one of our “pick-of-the-litter puppies” with a guardian home. Guardian homes will need to meet certain criteria including, but not limited to: located within 40 miles of Crossfield Doodles and a fenced yard. Guardians must have reliable transportation and be willing to bring the guardian puppy or dog to us when requested while the dog is enrolled in the guardian program. What are the benefits of being a Guardian to a Crossfield Doodle? You are the guardian of an amazing doodle! When we choose a puppy to enter the Crossfield Guardian Program we will be selecting a puppy that conforms to our breed standard. We will evaluate this puppy based on his conformation, color and temperament. Your doodle will receive complete health screenings at no cost to you! If your doodle is selected to enter the breeding program, you get to share in the excitement of seeing the offspring your doodle nurtures. We will also supply a $500 reimbursement for each successful breeding. While in the Guardian Program we will groom your doodle for any photo shoots free of charge. Finally, when your doodle exits the Guardian Program, we will spay/neuter at no cost to you. What does it cost to become a Guardian? The price of a doodle entering our Guardian Program is 50% of the cost of the normal pet price. We expect you to be a 100% Guardian Home in return. Guardian doodles must be inside pets, get adequate exercise, not be left outside unattended and not be left at home alone for the majority of the day. We expect you to feed your doodle a quality dog food. These are affordable and we are happy to share our recommendations! Are there medical costs we will incur? 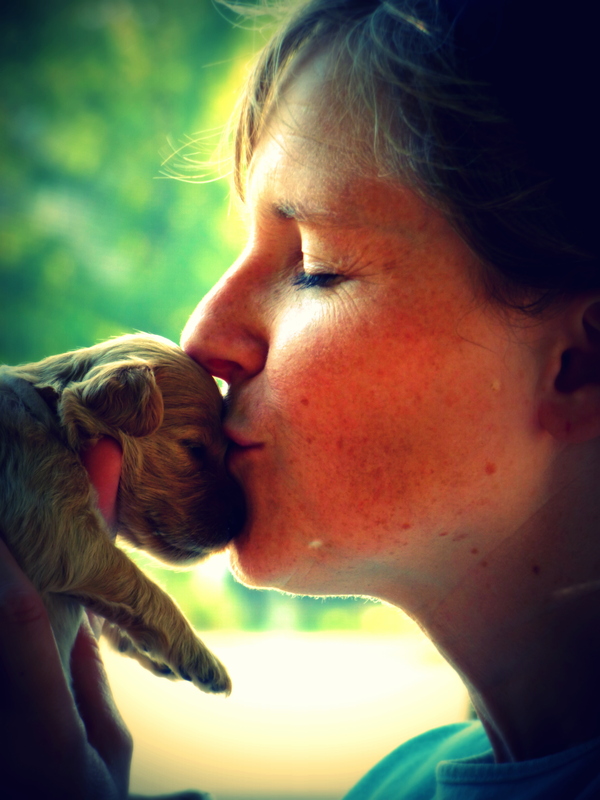 All veterinary costs associated with breeding and whelping are the responsibility of Crossfield Doodles. Guardian Home Families are responsible for the general routine veterinary care and overall wellness of the Guardian puppy or dog placed with them. This means providing annual vaccines, monthly heartworm prevention, flea/tick prevention as well as training, exercising and socializing with all the love and care possible from the guardian family members! If you are interested in becoming a participant in the Guardian Program, please begin by filling out an online application. We will schedule a phone interview with you and discuss this exciting possibility!